Richard Wilson follows routes raved about in motoring guides of the mid-20th century. Here, he drives from Scarborough to Whitby via the Yorkshire moors. 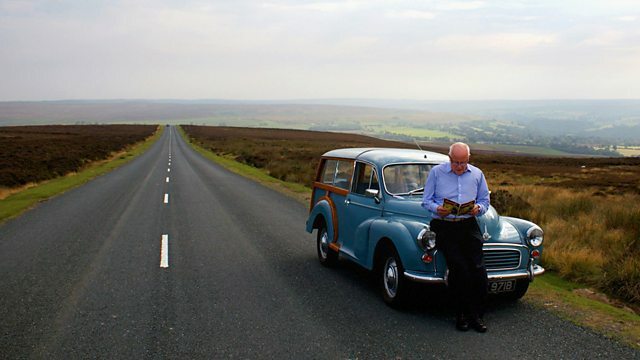 Actor Richard Wilson takes a journey into the past, following routes raved about in motoring guides of mid-20th century. In a classic Morris Minor Traveller, he drives from Scarborough to Whitby via the Yorkshire moors. On the way, he learns about the rise and fall of the British seaside resorts, takes a toll road through the Dalby Forest and checks out the mythical roadside wonder that is the Hole of Horecum. He finds out how the village of Goathland now lives a double life, and ends up with a carload of goths on their way to visit Whitby Abbey.